Gabriel Fernandez went over to his friend’s house almost every day and walked home from school with that friend every day, his mother said. And on Saturday, that friend accidentally shot Gabriel -- known as Gabe -- in the head and killed him, his mother said. “He loved my son. 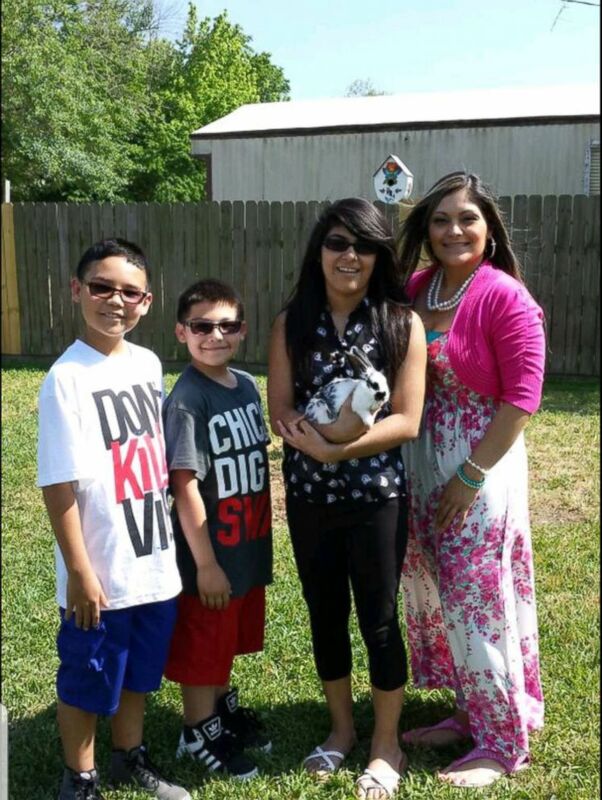 They were best friends,” Jennifer Valdez said of her 13-year-old son and his friend, whose name is not being released. What started as a normal Saturday, where Gabe and his 15-year-old brother Nick went over to their friend’s house, ended in tragedy when she received a “hysterical” call from Nick about 20 minutes after the boys had left her home. “He was just hysterical, telling me that ‘Gabe’s dead, Gabe’s dead.’ ‘What do you mean Gabe’s dead?’ ‘Gabe’s dead, he shot him in the head,’” Valdez recalled to ABC News. “I ran over and there was people standing outside and little girls crying,” she said. “I could see where the bullet had exited out of his head,” Valdez said. 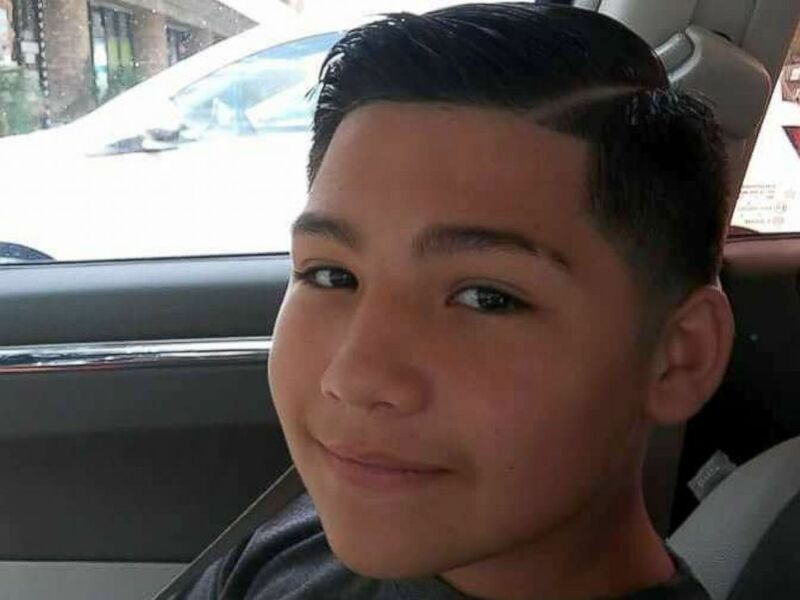 Jennifer Valdez said that her son Gabe Fernandez, 13, seen in this undated photo, was fatally shot while hanging out at a friend's house on Saturday Jan. 19, 2019. Valdez, a nurse, went in the ambulance with Gabe when emergency responders arrived, and they were about 10 minutes into the 15 minute drive when she could tell it was over. “The paramedic in the back told [the driver] to turn the lights off,” Valdez said of the sirens. “I knew my baby was gone at that moment,” she said. Valdez, 37, said that Houston police are still investigating the case and they did not immediately respond to ABC News’ request for comment on the case. Valdez said that the boy who is believed to have shot the gun lives with his grandparents and that she has been told that they do not own the gun. Jennifer Valdez, right, said that her sons Gabe Fernandez, 13, and Nick Fernandez, 15, seen in this undated photo, went over to their friend's house as they normally do, but this tragic time left Gabe dead of an alleged accidental gunshot wound. Her older son Nick Fernandez, 15, who was also at the home at the time of the shooting said that there were multiple teens in the room at the time of the incident and that they thought since the clip was allegedly out there weren’t any bullets inside. However, many guns hold an additional bullet in the chamber as well as in the clip. “I still don’t have answers,” Jennifer Valdez said of the investigation. She said that police questioned the children who were at the home, including Nick, for several hours at the police station after the shooting, which she said took place at around 1:30 p.m. She said that Nick was dropped off at her home by a police officer at close to 11 p.m.
“He just kept crying and saying 'It was an accident, we didn’t know. It was an accident,’” Valdez recalled her son Nick saying. She said that she hasn’t spoken to the grandparents or the friend yet, but thinks she will at some point. “I would like to see him," she said. "I feel bad for him too." “Now he’ll have to live the rest of his life knowing he killed his best friend," she said. "I feel remorse for him too… he’s a baby too." Houston police department officials did not immediately respond to a request for comment from ABC News. The Houston Chronicle reported that authorities did not comment on the source of the gun, and reported that while local prosecutors are reviewing the death, no charges have been filed. Houston's medical examiner, the Harris County Institute of Forensic Sciences, confirmed Fernandez' death to ABC News. 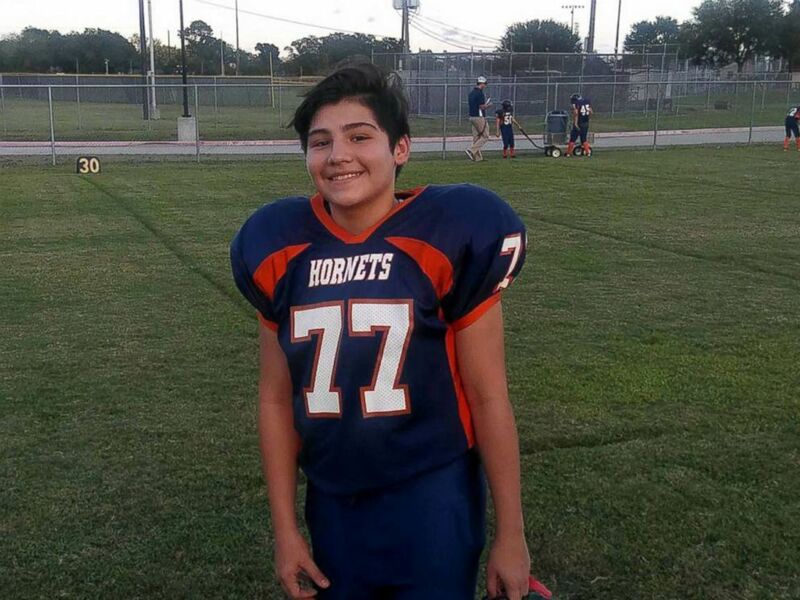 Valdez said that she has been finding some solace in some small ways, like one of his football jerseys that the school gave to her so that Gabe can be buried wearing it. She said she was told that another one of his jerseys will be signed by his teammates and framed in the locker room as a memorial to her. Now he’ll have to live the rest of his life knowing he killed his best friend...I feel remorse for him too… he’s a baby too. Another bit of solace, she said, was the knowledge that her son’s death will help others -- after having decided to donate his organs. Valdez said that she opted to have an open donation, meaning that she can meet the people who benefit from receiving her son’s corneas or heart valves, skin or bones, she said. “It gives me comfort,” she explained. 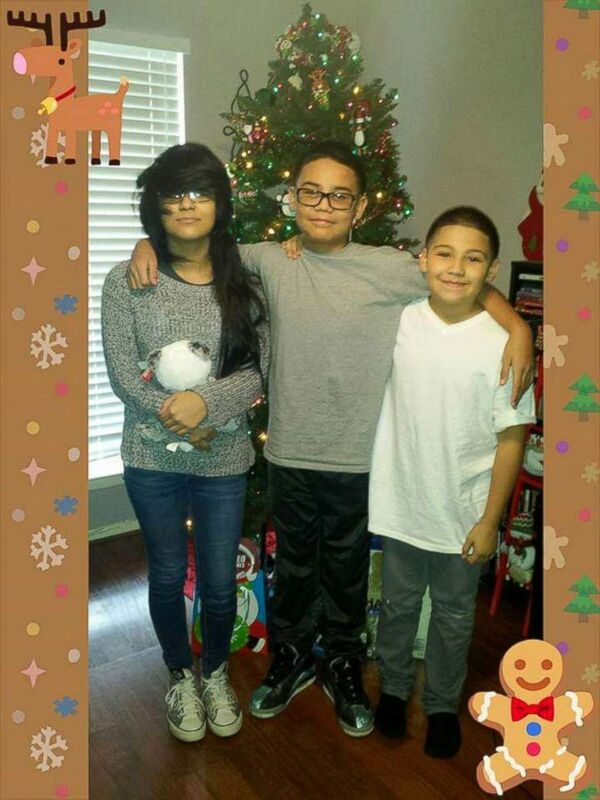 Jennifer Valdez said that her son Gabe, 13, seen in this undated photo with siblings, was fatally shot while hanging out at a friend's house on Saturday Jan. 19, 2019. Another lasting impact, she said, is that she hopes that other kids learn from this experience and save themselves and others if they are facing similar situations. “I keep telling my son’s friends who are coming over, ‘If you see a gun, just leave. If you’re hanging out with your friends and they’re talking about it and they bring it out just leave… you don’t have to be cool. Just walk away,’” she said.